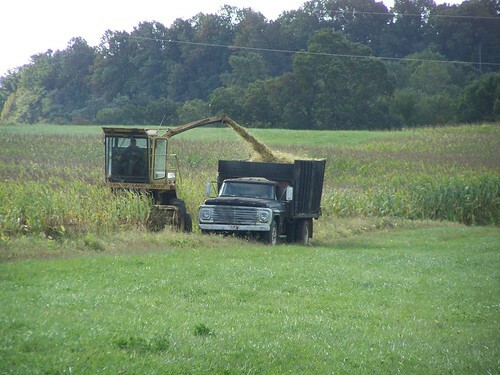 Corn cutting time is a very busy time here on the farm.�� A tremendous amount of corn is planted here.� In October, they begin cutting it up into silage (hope I spelled that correct).� The silage is then stored and fed to the cattle during winter.� When we first moved here I was amazed with the corn cutting process so I thought you all might enjoy seeing it.� Well it’s time for school and I want to get a quilt finished today.� God Bless. 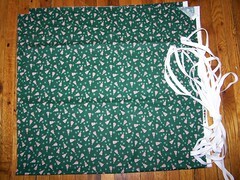 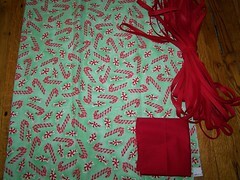 Here’s some new material I bought today.� I am going to make Christmas aprons with it.� 3 of them will have red binding and a red pocket.� The other one will have a pocket made from the same material as the apron and white binding.� I think they will look very cheerful and festive.� Today was spend shopping, piano lessons, and getting groceries.� Hopefully I can get some sewing done before bedtime.� I finished a scarf today crocheted in Floyd School colors, black and gold.� It looks really good and it’s already sold.� I really like that.� Temperatures are cool here today.� Mid 60’s with strong wind.� We read the other day in Psalms that wind comes from God’s personal storehouse.� So now when I feel the wind (we get a lot of wind here) I just remember where it comes from.� Personal touch from God.� How good is that.� God Bless. 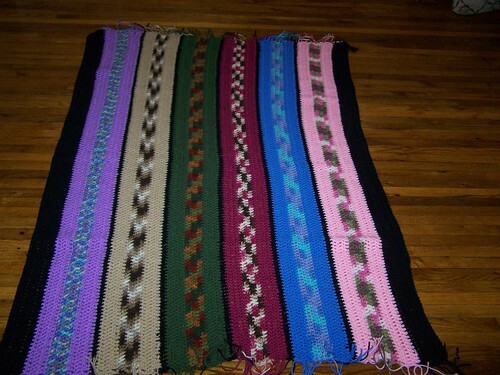 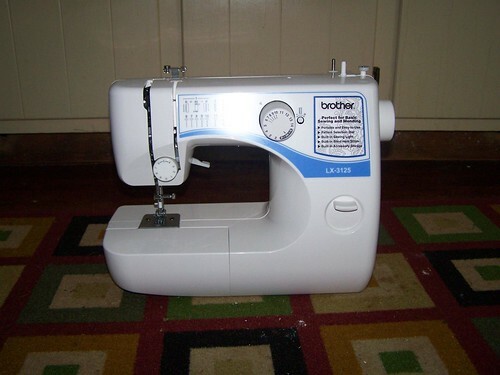 �Is this a good price?� Today is�a �school day and I have lots of things to make.� God Bless. 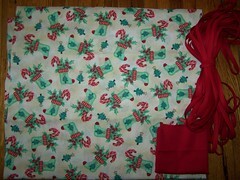 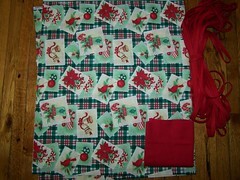 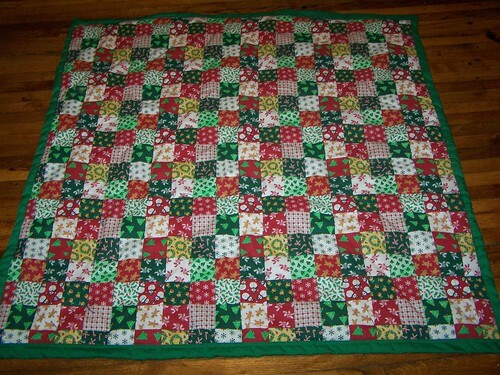 Today has been a busy day.� Rain and temperatures have fallen all day.� A good day for sewing.� I finished the Christmas lap quilt and had enough material left to make an apron.� I think they both look pretty good.� I hope to sell the quilt for $25.0o and aprons are $12.00.� I wish I had more seasonal material, fall & Christmas especially.� I also set up another quilt this evening but I think I’m done for today.�� Tomorrow is church day and I need to do my Sunday School and Sunday Evening lessons.� I think for tomorrow night at church I will take potato soup.� These colder temperatures make me think of soup.�� Have a good evening and God Bless. 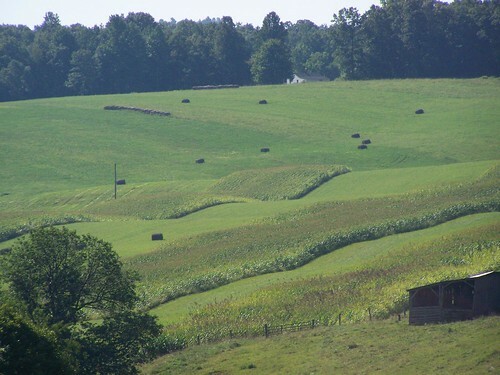 I’m�sorry I don’t have a picture to post today.� Things have been very busy around here this week.� We got to have some MawMaw and PawPaw time Tuesday and Wednesday.� Those of you who are grandparents know that takes top priority over everything else.� Daniel’s highlight of his stay was riding around the farm in PawPaw’s truck.�� Wednesday night was really nice.� �David, Jess, and Daniel went to the fellowship meal with us at church.� Everyone (of course) was tremendously impressed with Daniel.� Thursday morning brought water heater problems.� We replaced both elements and thought our problem was fixed.� We should have known better.� Never does plumbing go that smooth.� We left to have dinner with some friends of ours.� We were blessed to pick some apples at their farm.� We came home and discovered a hugh water leak under the sink.� I mean really under the sink, between the dirt and the floor.� The back part of our house sits directly on the ground so this presented a rather large problem.� MY WONDERFUL HUBBY ( with my help) managed to get this fixed today.� Also I have decided to attempt to sell my crafts at another festival.� This one will be Oct. 3.� This means I have 1 week to get more stuff made.� Today after helping with the plumbing and putting poly on a cabinet we are making for ourselves, I finally got to do some sewing.� I made a set of cloth napkins, 1 apron, and set up 1 lap quilt.� Hopefully I will finish the quilt tomorrow.� It is a Christmas quilt.� I will try to post a picture of it when finished.� Well it is late. 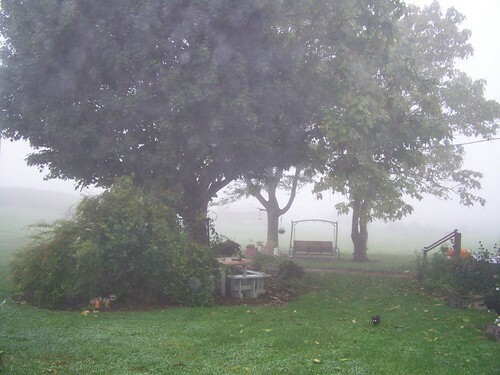 I am tired.� God Bless. 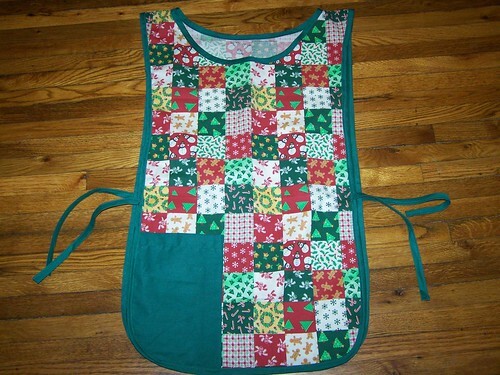 Saturday was spent at a local craft sale.� I did pretty good selling my dishcloths and aprons.� I have needed a new sewing machine for a long time.� My old one is about 25 years old and has been giving me lots of trouble lately.� Hubby has repaired it many times.� Saturday I was blessed to sell enough to purchase this new one.� I pray I get as much service from it as I did from the old one.� Now I think I need to go sew something.� God Bless. 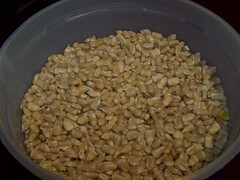 Field corn, dried and ready for grinding. 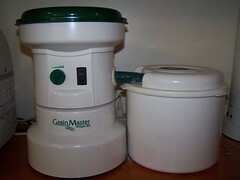 Grain Master Whisper Mill.� I use this for grinding corn and wheat. 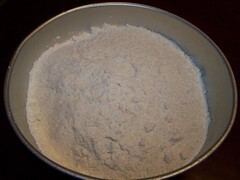 Fresh ground corn meal.� To make this self rising, I follow this recipe.� 4 cups fresh ground corn meal (or wheat flour), 1 tsp salt, 1 tbsp baking powder.� Sift together. 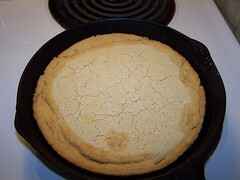 Finished product, ready to enjoy.� What do you think we’ll be having for dinner?� God Bless. 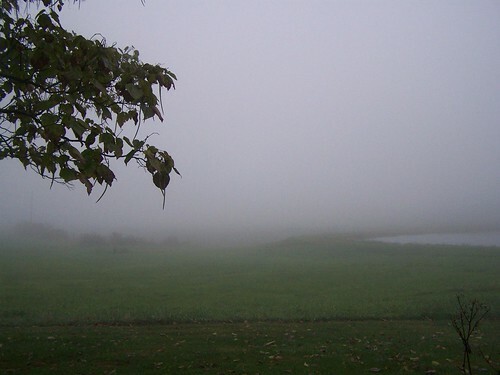 Today has been a wet, foggy day in Floyd.� Temperatures only about 60 for the high.� Not much can be done outside when the weather is like this.�� So today we settled in for a day of half school.� This means we only do half our normal lessons which made the girls very happy.� A day for reading, baking, and enjoying being a stay at home wife.� I believe blessings come in disquise sometimes,�just to see if we’ll recognize them.� Thank you Lord,�that I can stay at home, teach my girls and snuggle in for a foggy day.� God Bless. 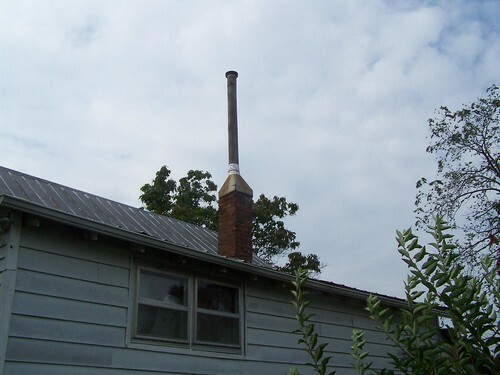 Our biggest accomplishment for today was getting the chimney fixed.� High winds in early spring had blown down the chimney and as I have said it is starting to get cool at night here in Floyd.� My brother-in-law came over to help us fix it.� We were very blessed to find this aluminum pipe down at the barn and it just fit perfectly over the stainless steel pipe that fits in the brick part of the chimney.� This all sounds complicated and in some ways it is.� The original chimney( as you can tell) is very old and was not useable.� We had to line it with a stainless steel pipe which was not tall enough.� The chimney must be above the ridgeline of the house or it will not draw.� Every year we have to replace the pipes that extend on above the ridgeline.� Hopefully this won’t happen now as aluminum does not rust.� Therefore it should last much longer.� I certainly pray so.� George was very glad to get this off his to-do list.���Today is busy with school and getting ready for church tonight.� Hope everyone has a great day.� God Bless. 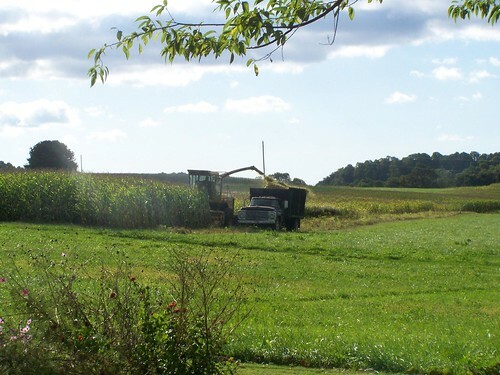 This is a picture of the closest neighbor that we can see from our house.� The picture is zoomed in pretty close.� It actually is farther away than it appears.� I also wanted to show you the corn that is raised here on the farm.� Lots and lots of corn.� They cut it up for feed.�� We can’t see the road from our house because of all the corn.�It will�soon�be corn cutting time.� I hope to get pictures of that to post.� Today was spent on the road running errands.� Piano practice in the afternoon.� The highlight of the day was a stop at Lifeway Christian Store.� They have so many good books and studies there.� I could spend hours looking at them.� We do a Ladies Bible Study at my house and we are starting I & II Peter this week.� I think it will be an interesting study.� I always get excited when we start a new study or we get new school books.� The girls don’t always share my excitement.� George is working on another chair, so I think I’ll go help him.� God Bless.